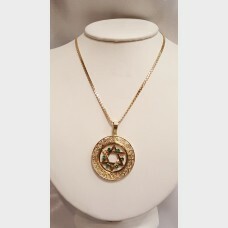 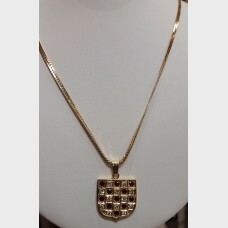 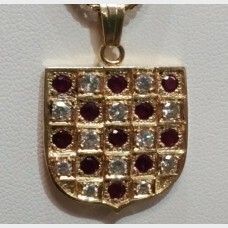 This is a pre-owned, 14kt diamond and ruby shield pendant with a 14k yellow gold chain. 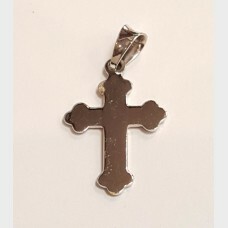 1.2 ctw (car.. 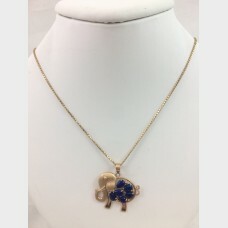 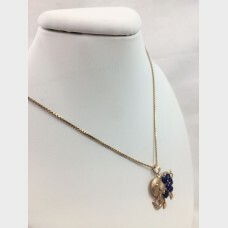 This beautiful necklace features a 14k elephant pendant with Lapis stones and a 14k yellow gold chai.. 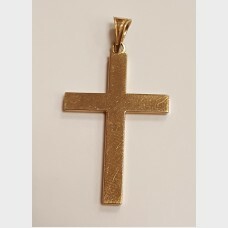 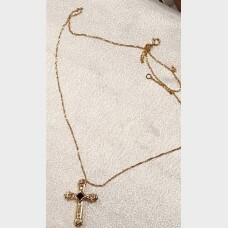 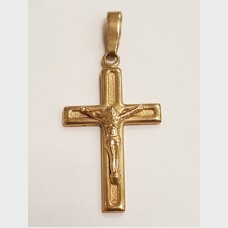 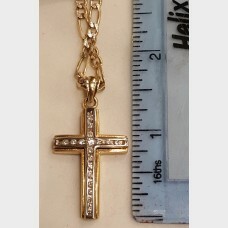 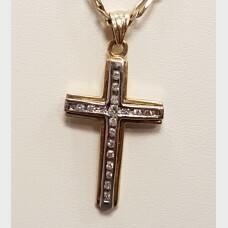 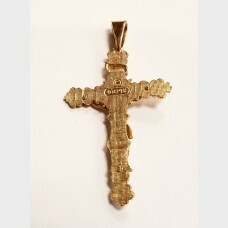 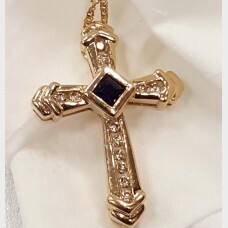 This beautiful cross measures 1" L x 1/2" W, is 14 kt yellow gold with .15 pts diamonds throughout a.. 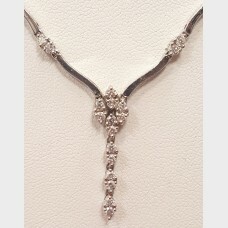 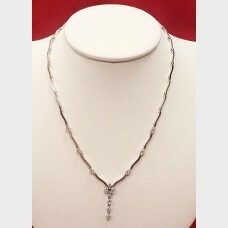 This pre-owned link necklace features 14K white gold with small diamond inlets and diamond center pe.. 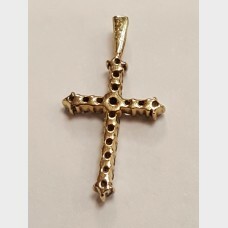 Purity: 14k White Gold Measurements: Approx 1 1/4" L x 1/2" W (at its widest point) Weight: Appro.. 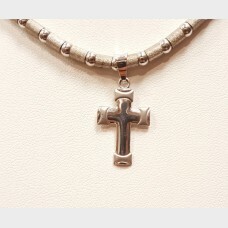 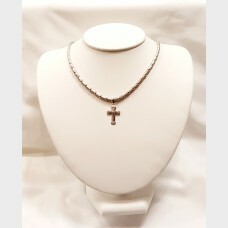 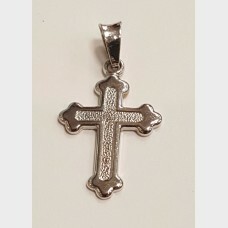 Purity: 14k White Gold Necklace Measurements: Approx 16" Cross Pendant Measurements: 1 1/4 " L x 1.. 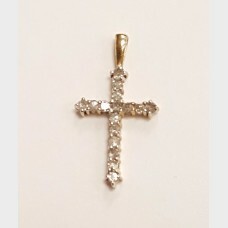 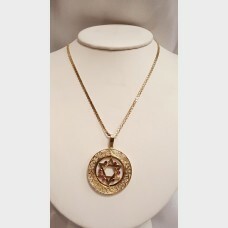 Purity: 14k Yellow Gold Diamonds: .40 ctw (16 .03 size diamonds) Measurements: Approx 3/4" L x 3/4.. 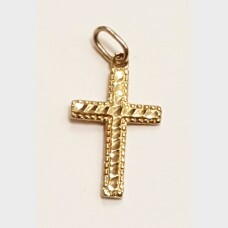 Purity: 14k Yellow Gold Measurements: Approx 1 1/4" L x 3/4" W (at its widest point) Weight: Appr.. Purity: 14k Yellow Gold Diamonds: .60 ctw Measurements: Approx 1 1/2" L x 3/4" W (at its widest po.. 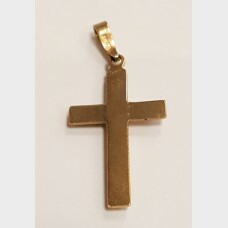 Purity: 14k Yellow Gold Measurements: Approx 1" L x 3/4" W (at its widest point) Weight: Approx 2.. 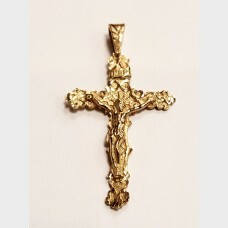 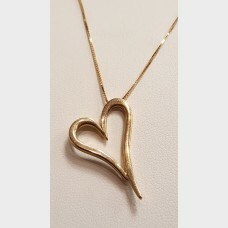 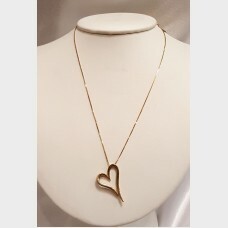 Purity: 14k Yellow Gold Measurements: Approx 1 1/2" L x 1" W (at its widest point) Weight: Approx.. 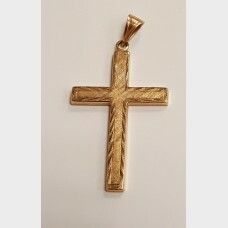 Purity: 14k White GoldMeasurements: Approx 3/4" L x 1/2" W (at its widest point) Weight: Appr..